Let’s meet the staff, shall we? Rocket Improv instructors have decades of experience performing and teaching improvisation. our time on the boards performing hundreds of improv shows in front of live audiences! Lulu French first took improv classes at Gotham City Improv over two decades ago and has been improvising ever since. In addition to being a graduate of GCI, she has also studied improv under Amy Poehler, Matt Walsh, and Matt Besser — original members of the Upright Citizens Brigade, Armando Diaz — founder of the Magnet Theater, various Second City alumni such as Todd Stashwick (12 Monkeys), and improv masters Michael Gellman, Dave Razowsky, and Aretha Sills. She has appeared in numerous improv performances in NYC improv theaters such as Gotham City Improv, the Magnet Theater, the People’s Improv Theater and Upright Citizens Brigade. She is a cast member of the long-form improv group, Gary Austin’s The Classroom and performs with Dreamcatcher Rep’s twice yearly short-form improv show, Multiple Personality Disorder in Summit, NJ and monthly with Montclair Improv Comedy in Montclair, NJ. She was seen in the JCPenney viral campaign, "Return to the Doghouse," did extra work on Late Night with Conan O’Brien, and wrote and performed in video segments called the "Mommy Minute" for the parenting website, Parent Society. She co-starred in a video short for MTV.com with current SNL member Pete Davidson, and can be seen playing opposite Rachel Dratch in a video short for Everytown for Gun Safety. Corporate industrial credits include performing for companies such as Pfizer, Cephalon, and Merck. Lulu has been an improv instructor since 2000 and has had the privilege to teach for organizations such as Gotham City Improv, The Queens Theater in the Park, Arts Horizons, The Theater Project, The South Orange Maplewood Adult School, IN Studios, Beyond the Bell, and Dreamcatcher Rep in addition to teaching corporate improv workshops for companies such as Pfizer, Novartis, Johnson & Johnson, and AstraZeneca. Lulu first started out as a musical theater performer. In her youth she danced with the Appalachian Ballet Company, received voice scholarships while a Music Major at The University of Tennessee and eventually graduated from the American Musical and Dramatic Academy in New York City. She has numerous stock and regional theater credits performing in musicals such as Into the Woods, Tomfoolery, Nunsense, and Karaoke the Musical and the national tours of My Fair Lady and She Loves Me. She currently lives in Maplewood, NJ with her husband and two boys ages 14 and 4. With Dreamcatcher Repertory Theater Co.
Brad Barton took up improv in 1997 at Gotham City Improv in New York and never looked back. He began teaching in 2002 and has guided hundreds of students in short-form and long-form improv classes, public and private school workshops, and corporate workshops. He served as the Executive and Artistic Director of Gotham City Improv for four years. He’s performed around the world as a host and emcee for various corporate events, trade shows, and awards ceremonies. He interviewed over 240 celebrities as an On Camera Correspondent for Fandango, and continues his work as an entertainment journalist as the producer and host of the 1.21 Geekawatts podcast. Kevin Hines has been teaching at the UCB Training Center in New York for the last 10 years where he has taught all levels of improv. These classes have been offered to a variety of students and include corporate workshops and teen classes the UCB offers via the Department of Education. Outside of his work with the UCB Training Center, Kevin has directed UCB house teams as well as New York improv groups that were unaffiliated with any theater. Since Nov. 2014 Kevin has been the Associate Director of the UCB Training Center and is in charge of all the New York based teachers. He also helps maintain the Training Center's curriculum and manages the rest of the New York Training Center staff. He has consulted with the Baltimore Improv Group (BIG) during this time. Kevin has been a performer at the UCB since 2003, where he currently performs every Saturday Night with the house team, The Curfew. Kevin is a resident of South Orange, NJ where he lives with his wife and son. 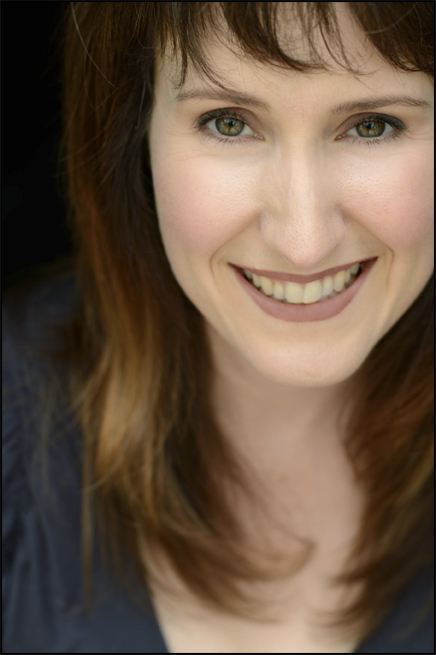 Throughout Angela’s decades long improv career, she has enjoyed teaching in a wide variety of settings from college acting classes to residencies in rural, elementary schools, from specialized sleep-away camps to adult studio courses. Angela also has the privilege of coaching some of New York City’s finest independent improv troupes. In addition to Second City, Angela has both studied and performed with David Razowsky and Michael Gellman and considers them her mentors. She has taken classes at UCB, The Magnet and The Pit Theater in New York City. She has also gained much from her studies with Chicago’s Jimmy Carrane and Minneapolis’ Jill Bernard. In addition to Second City, Angela has performed improv with ComedySportz (both Chicago & NYC) as well as various independent troupes, including the newest: Montclair Improv. Angela is also an accomplished storyteller and appears regularly in various shows throughout the city. Abby Sher is very grateful to be joining the ranks of Rocket Improv. Abby started improv back in Chicago when fannypacks were still new. She performed and taught at Second City and ImprovOlympic, then toured nationally with the Second City and created five original revues there. She also got to perform on HBO and did a recurring segment on NPR that made a few people laugh. Since coming back east, Abby has performed at the Magnet Theater, the PIT and UCB. She also wrote a bunch of books - mostly for teens. Now that she lives in the Jerz as a Maplewood resident she is co-producer of Scratch ’ Sniff Productions, teaches creative writing for Writopia Lab, and often has a puppet in her backpack. And she learns everything she knows from her three awesome kids. Dave Maulbeck is a performer, artist, and teaching artist based in Madison NJ. He specializes in Improv, Acting, Storytelling, and home-brewed animation. Mr. Maulbeck has a substantial teaching background. Most recently he taught film making for teens at Arts Garage in Montclair, NJ. Before that he was the arts and crafts instructor at the Summit Area YMCA. He also taught for the Leadership Program in NYC where he worked with "at risk" youths teaching violence prevention and leadership & life skills development through art, as well as a wide variety of subjects including acting, improv, cartooning, and mural painting. For several years he served as acting and improv teacher for both Dreamcatcher Repertory Theatre Company and American Ballet Academy’s summer youth program. Dave has also taught improv and acting to grown-ups at the Magnet Theater in New York City. As a professional actor Dave Maulbeck is a member of the Screen Actors Guild and has starred in several national commercials for companies such as Friendly’s, truTV, Burger King, Snapple, AT&T and many more. His film credits include the evil Dr. Wily in Megaman and the main character in the independent television pilot Dracula Goes to Camp. His comedic work includes performing sketch and improv at The Upright Citizens Brigade Theater, The People’s Improv Theater, Magnet Theater, Gotham City Improv and many many more. 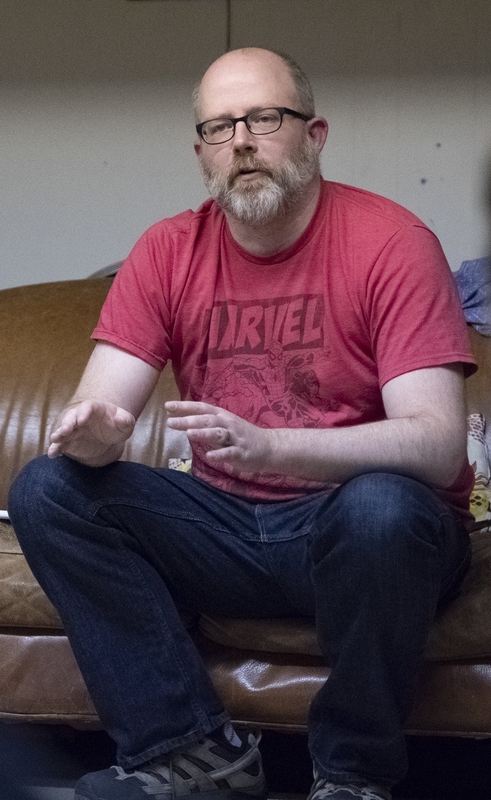 Dave is a company member and the director of improv at Dreamcatcher Rep where his stage production of Expecting Isabel was rated in the top ten productions of 2006 by The Star-Ledger. In 2007 Dave co-founded Chicken Scoop Productions where he executive produced several spec pilots, music videos, and web series. More recently he has been developing animation projects with BEHIND the BAG! Productions, Austin Basis' company.